As we program machines to be more like humans, how will they know what we value, if we don't know ourselves? The notion of robots gaining consciousness is beginning to become a reality, but the future of human happiness is dependent on our ability to teach machines what we value the most today. Featuring pragmatic solutions drawing on economics, emerging technologies, and positive psychology, Heartificial Intelligence provides a road map to help readers embrace the present and better define their future. 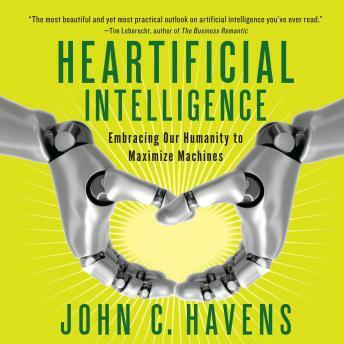 Using fictional vignettes to help listeners relate to larger concepts, this book paints a vivid portrait of how our lives might look in either a dystopia of robot dominance or a utopia where we use technology to enhance our natural abilities and evolve into a long-lived, super-intelligent, and caring species.